Infos techniques Hélice de 3,70 m de diamètre. The word "aviette" is literally French for "small aeroplane", and usually refers to the class of flying bicycles of the twenties which typically had ground-drive only. 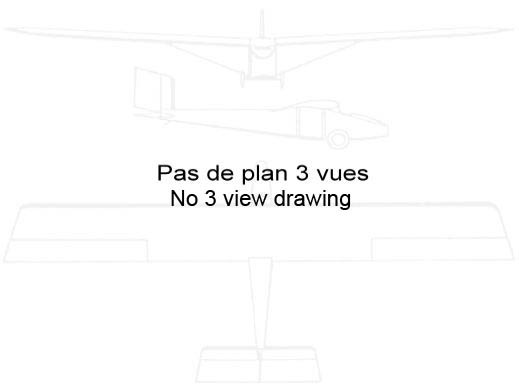 By contrast, Monsieur Hurel's 1976 aircraft had an 137 feet (42 m) span and a 12 feet (3.7 m) diameter propeller. On the Aviette, Hurel used an aerodynamic solution to a structural problem. As explained above (see Lippisch), it is important that the wings of aircraft do not warp or twist uncontrollably. The obvious answer to this is either to stiffen the internal structure to resist torsion, or to arrange external bracing wires to do the same job. However, on this plane stabilising surfaces were attached on mini-tail-booms behind each outer wing. Just as the effect of a tailplane is to tend to return the entire aircraft to a level attitude from a non-level attitude, so the effect of these surfaces is to tend to hold the wing-tips at a constant angle relative to the airflow. 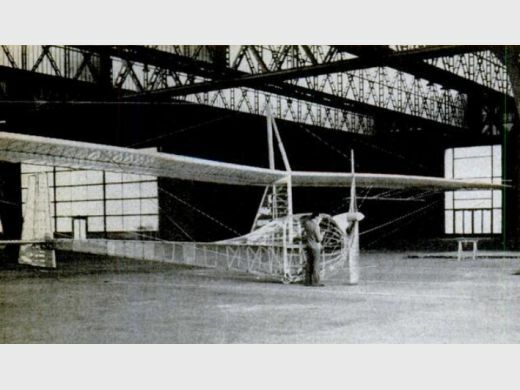 The conventional constructional techniques of the time were used, materials being spruce, Balsa and Melinex. The Aviette flew at Le Bourget, largely through national recognition of the designer's contribution to industry throughout his working life. In 1974 the Aviette recorded flights of 1100 yards (1000 m).